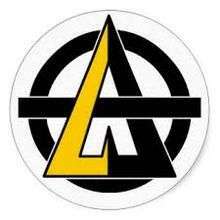 Agorism is a libertarian social philosophy that advocates creating a society in which all relations between people are voluntary exchanges by means of counter-economics, thus engaging with aspects of peaceful revolution. It was first proposed by libertarian philosopher Samuel Edward Konkin III. The term was coined by Konkin, and comes from the Classical Greek word ἀγορά (agora) referring to an open place for assembly and market in a πόλις (polis, ancient Greek city-states). According to Konkin, counter-economics and Agorism were originally fighting concepts forged in the revolutionary atmosphere of 1972–73. Konkin credits the Austrian School, particularly Ludwig von Mises, as the base of economic thought leading to Agorism and counter-economics. In the 1960–70s, there was an abundance of political alienation in the United States, particularly for those in favor of libertarian ideologies. Whereas Murray Rothbard chose to create political alliances between the Old Right and the New Left, Robert LeFevre and his "West Coast" followers pursued a non-participatory form of civil disobedience. Ultimately, LeFevre's anti-collaboration methods lost favor and faded away. After the creation of the Libertarian Party (United States) in 1971, the debate shifted from anarchy vs. minarchism to partyarchy vs. agorism. Konkin characterized agorism as a form of left-libertarianism (specifically, left-wing market anarchism), and, generally, that agorism is a strategic branch of market anarchism. The goal of agorism is the agora. The society of the open marketplace as near to untainted by theft, assault, and fraud as can be humanly attained is as close to a free society as can be achieved. And a free society is the only one in which each and every one of us can satisfy his or her subjective values without crushing others’ values by violence and coercion. The Counter-Economy is the sum of all non-aggressive Human Action which is forbidden by the State. Counter-economics is the study of the Counter-Economy and its practices. The Counter-Economy includes the free market, the Black Market, the “underground economy,” all acts of civil and social disobedience, all acts of forbidden association (sexual, racial, cross-religious), and anything else the State, at any place or time, chooses to prohibit, control, regulate, tax, or tariff. The Counter-Economy excludes all State-approved action (the “White Market”) and the Red Market (violence and theft not approved by the State). Agorism believes gradual withdrawal of state support through what Konkin described as "Profitable Civil Disobedience". Starving the state of its revenue and purpose by transferring these responsibilities over to decentralized institutions is the most feasible way to achieve free markets according to Agorism. Agorism does not support political engagement in the form of political party promotion as a means to transition to a free-market Anarchism. The methods of the Libertarian Party (United States) are not compatible with Agorist principles. Konkin referred to these attempts to fight for free markets through state approved channels of operation as "Partyarchy". As with voluntaryists, agorists typically oppose electoral voting and political reform; instead, they stress the importance of alternative strategies outside political systems to achieve a free society. Agorists claim that such a society could be freed more readily by employing methods such as education, direct action, alternative currencies, entrepreneurship, self sufficiency, civil disobedience and – most importantly – "counter-economics". "The main Evil in the political realm"
Konkin claimed that while agorists see these three classes differently, anarcho-capitalists tend to conflate the first and second types, while "Marxoids and cruder collectivists" conflate all three. The agorists prefer the term “free market” to “capitalism”, mostly since they bear no ties with the implications that the latter term has in history. The favoritism of the government towards determined corporations is seen by agorists as the characteristic that renders much more illegitimate the intervention of the state in various sectors. State-imposed restrictions in favor of certain companies, according to agorists, distort the market, thus making the aforementioned businesses less responsible and less capable. The agorists claim that the debts of businesses cannot be cleared through a government's decree, and that every manager has to be responsible for every act taken. Konkin opposed the concept of intellectual property, and wrote in an article, entitled "Copywrongs", in support of such a thesis. Successively, Schulman criticized this thesis in “Informational Property: Logorights”. Whereas Konkin was opposed to the laws of the state in the cases of patents and copyright, seen as creators of monopolies and distortion, Schulman sought to demonstrate that every invention is logically exclusive property of its inventor. Agorists' opposition to voting differs from the views of Murray Rothbard, who defended the act of voting. No other strategy for liberty can work. And yet, all this pales before the most important problem: Is a Libertarian Party evil per se? Is voting evil per se? My answer is no. Konkin commented on Rothbard's "Evil per se" argument saying "I wonder how open he would be to assuming the State is not evil per se and then continuing the discussion of some legislation, let us see where it leads him". Konkin’s entire theory speaks only to the interests and concerns of the marginal classes who are self-employed. The great bulk of the people are full-time wage workers; they are people with steady jobs. Konkinism has nothing whatsoever to say to these people. To adopt Konkin’s strategy, then, would on this ground alone, serve up a dead end for the libertarian movement. We cannot win if there is no possibility of speaking to the concerns of the great bulk of wage earners in this and other countries. Konkin responded to Rothbard's criticism, noting, among many other points, that full-time wage workers already engage in counter-economic activities. Rothbard was also critical of Agorism's emphasis of Black Market based economics. Note that black markets are concentrated either in service industries or in commodities which are both valuable and easily concealed: jewels, gold, drugs, candy bars, stockings, etc. This is all well and good, but it still does not solve the problem: who will make automobiles, steel, cement, etc. How would they fare in the black market? Konkin replied to Rothbard's claims by stating how countries such as Burma and India have black market heavy industries. Konkin also pointed out how automobile making in general is heavily counter-economic with its use of outsourcing, illegal labor, and both tax and regulation evasion. Konkin's treatise New Libertarian Manifesto was published in 1980. Previously, the philosophy had been presented in J. Neil Schulman's Science fiction novel Alongside Night in 1979. Ayn Rand's example, presenting her ideas in the form of a work of fiction in Atlas Shrugged, had inspired Schulman to do likewise. Konkin's afterword to the novel, "How Far Alongside Night? ", credited Schulman with integrating the "science of counter-economics" with Konkin's basic economic philosophy. 1 2 3 4 5 6 Konkin III, Samuel Edward. "Last Whole Introduction to Agorism" (PDF). agorism.info. agorism.info. Retrieved 14 June 2015. 1 2 Konkin, Samuel Edward. An Agorist Primer (PDF). ↑ "Counter-Economics: what it is, how it works" (PDF). agorism.info. Archived from the original (PDF) on 25 March 2009. 1 2 3 Konkin, Samuel Edward (1980). "New Libertarian Manifesto" (PDF). agorism.info. ↑ Copywrongs, Samuel Edward Konkin III Archived 13 August 2006 at the Wayback Machine. ↑ Rothbard, Murray N. The State versus Liberty. 1 2 3 Konkin III, Samuel Edward. "Reply to Rothbard". Anthonyflood.com. SEKIII. 1 2 Rothbard, Murray. "Konkin on Libertarian Strategy". Mises.org. Mises Institute.